This Steampunk leather top hat definitely makes a bold and unique statement that you won't find anywhere else! Ostrich skin embossed (pig skin) leather outer with veg tan cowhide inside. 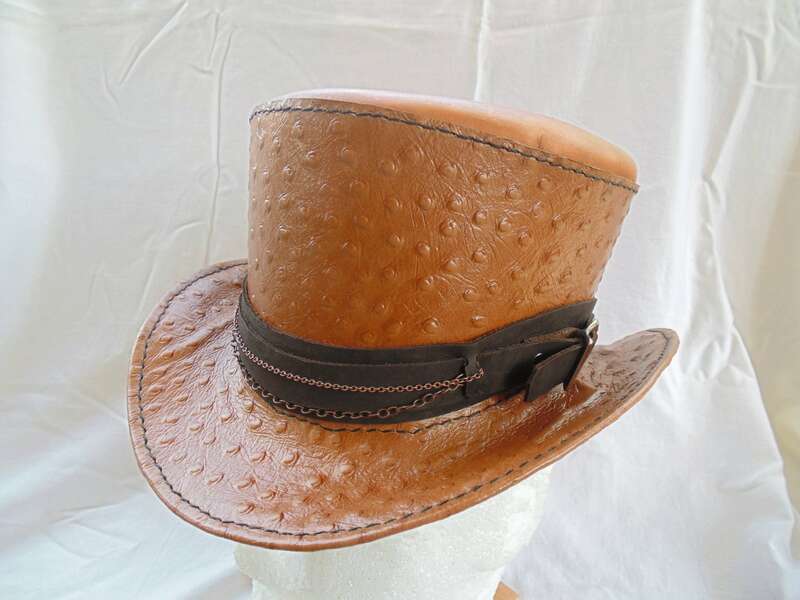 Hatband is stone oil cowhide with copper chain and silver buckle. These hats are made to order with your specified size. Can be made with or without sweatband on inside.